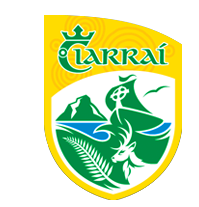 Kerry GAA in collaboration with Munster Council, the District Boards and Colaiste Chorcha Dhuibhne have offered part scholarships to sixty two youth members from fifty clubs within Kerry, aged between 12 and 18 years of age to attend Irish college in the Dingle Gaeltacht during this summer. Comhgairdeas to all the successful young members who participated in the Cúrsaí Gaeilge and enjoyed the experience of improving their Gaeilge through lessons, sport, music, song and dance. Working with Colaistí Chorcha Dhuibhne for over 30 years has enabled Coiste Chiarraí to deliver a unique combination of improving youth members’ interest and knowledge of Gaeilge by participation in the cultural, heritage and interesting environment of Corcha Dhuibhne.